Giuseppe Zangara in prison, reading about his attempted assassination of FDR in 1933. 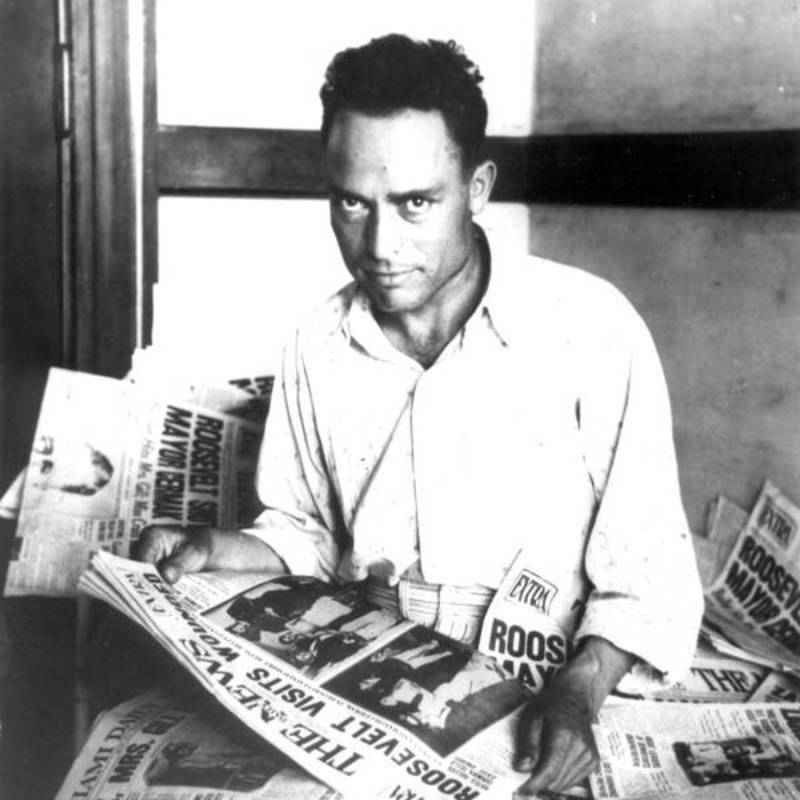 Giuseppe Zangara was an unemployed bricklayer unwilling to wait for President-Elect FDR to take office to blame him for his problems. Giuseppe Zangara felt as if no leader could solve his problems or the world’s at the height of the Great Depression. Born in 1900, he emigrated from Calabria, Italy to the United States in 1923 hoping to improve his prospects in life. But after the Great Depression began in 1929, he found only joblessness and despair. 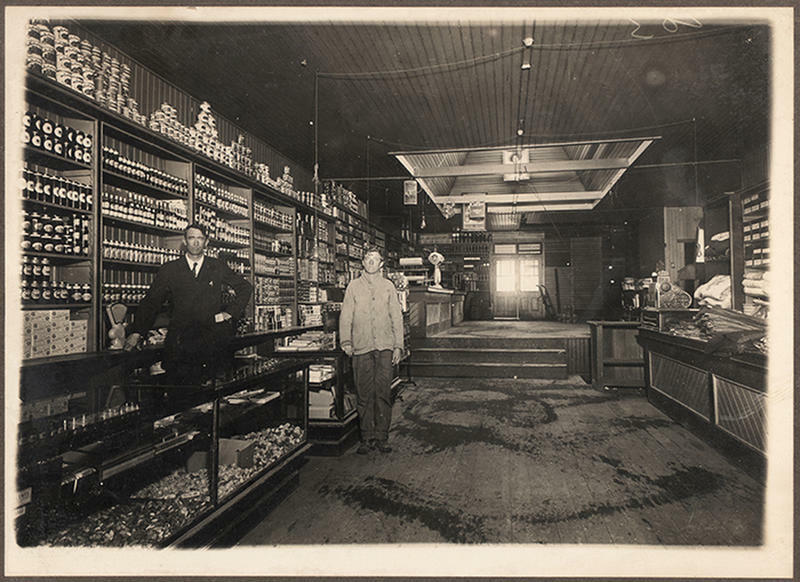 That’s why the Italian immigrant and unemployed bricklayer took matters into his own hands. On Feb. 15, 1933 in Miami, Fla., he fired six rounds from his gun toward President-Elect Franklin D. Roosevelt. It was a curious target of blame considering Roosevelt wouldn’t take office for another three weeks. History could have played out differently if things did not go precisely as they did that day. Roosevelt’s trip to south Florida wasn’t planned. Rather than sit in Washington to plan his cabinet, FDR decided to take a two-week cruise to the Caribbean to get away from it all ahead of his inauguration on March 4. The original plan was to leave Jacksonville on Vincent Astor’s yacht and head to the sunny waters of the Caribbean in the throes of a cold winter in the United States. Instead, the president-elect took a detour to Miami. On the night of Feb. 15, Roosevelt arrived in the Bayfront Park neighborhood of Miami at around 9 p.m. There, he spent time meeting local members of the Democratic Party and schmoozing with guests. 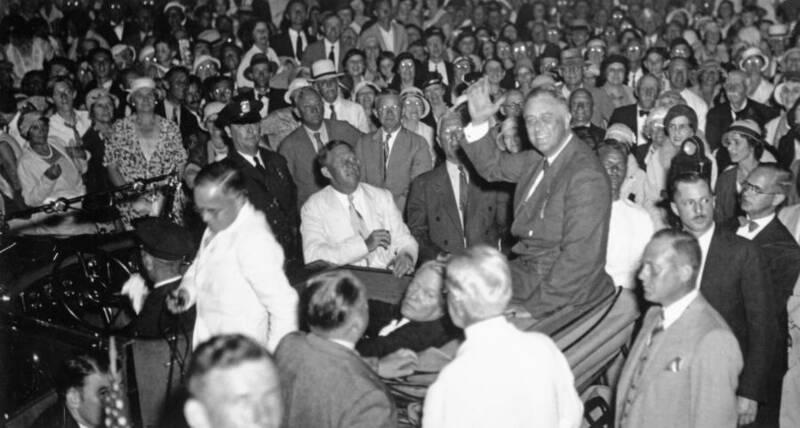 At about 9:30 p.m., Roosevelt addressed the crowd from the back seat of a green Buick in front of about 25,000 people. President-Elect Franklin D. Roosevelt greets crowds at Bayfront Park a moment before the Giuseppe Zangara shot. The speech was over in about five minutes. Then, as Roosevelt turned to talk to his esteemed guests, a man in the third row about 30 feet from the president’s Buick, stood on his tiptoes on the edge of a rickety chair. At only 5’1″ tall, the short Italian needed to get a good view of FDR. With that, he whipped out his .32 caliber revolver and opened fire. What happened next – or rather what didn’t happen next – changed American history forever. Zangara squeezed off the first shot, missing his target. Two people, one behind Zangara and one in front of him, tried to wrestle the gun away. The assassin unloaded five more shots before spectators tackled him. Zangara never hit Roosevelt, but five others were wounded; two seriously, including Chicago mayor Anton Cermak, who was an immigrant himself from Austria-Hungary. Secret Service agents hustled FDR into his green Buick and began to speed away to safety. The president-elect ordered them to go back and tend to the wounded. Roosevelt addressed the crowd and pleaded with them to stop beating Zangara, which probably prevented his death at the hands of an angry mob. Roosevelt insisted that the assailant have his day in court. Roosevelt then took Cermak to the hospital and talked to the wounded mayor on the way. The president-elect kept speaking to the mayor, saying “Tony, keep quiet, don’t move, Tony.” Doctors say FDR’s words prevent Cermak from going into shock. Police arrested Zangara who immediately admitted his crimes. He proved to be quite chatty in prison. The would-be assassin also told the F.B.I. that his abdomen hurt, a chronic condition that plagued Zangara since his father beat him as a young boy. Millions of Americans felt the same way Zangara did in 1933. Unemployment was near 30 percent. Scores of ordinary citizens had little or no money. No one knew what Roosevelt would do once he took office. Zangara’s desperation turned into an act of horror. Two days after FDR’s inauguration, Cermak died of peritonitis caused by the bullet wound. The judge upgraded Zangara’s charge to murder and sentenced him to death. 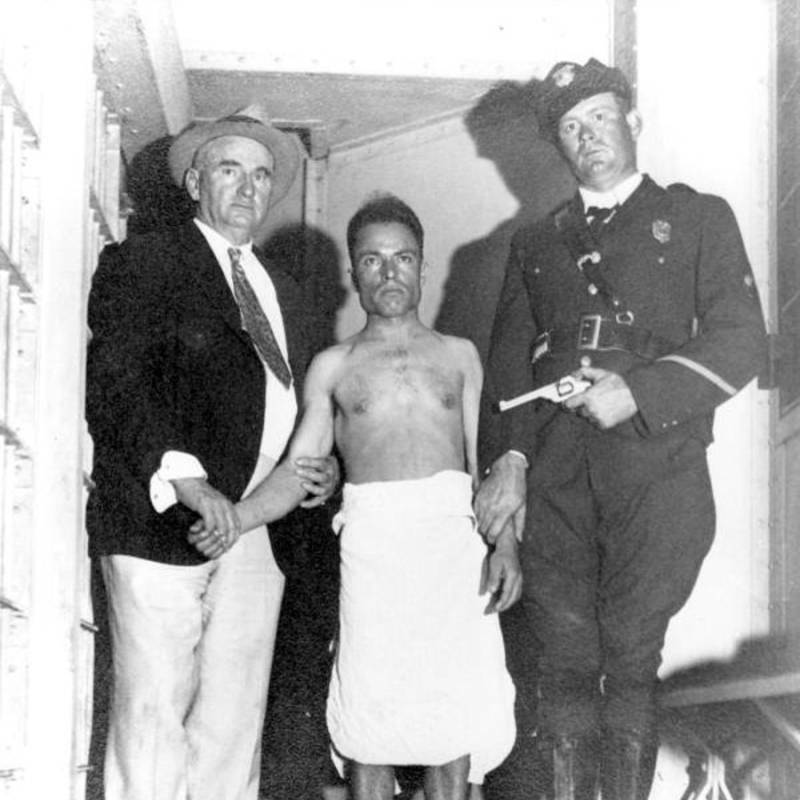 Giuseppe Zangara shortly after his arrest for the attempted assassination of FDR. The Italian-born immigrant was sent to the electric chair on March 20, 1933, just one month and five days after the attempt on FDR’s life. Much like his shots ringing out in a park in Miami, Giuseppe Zangara’s final words were ones of defiance and grimness. It was a crazy end to a turbulent 35 days of presidential history that is now mostly forgotten. Had Zangara succeeded, this footnote of history might have turned out very different. No one knows what kind of chaos would have ensued in America had one of Giuseppe Zangara’s five bullets actually hit and killed Roosevelt.